Paris (AFP) - Wedged between green groups and the agriculture lobby, an EU members expert committee punted a vote Wednesday on proposals to extend the European license for the controversial weedkiller glyphosate, set to expire at the end of the year. Lawsuits and a raging dispute on both sides of the Atlantic have centred on whether the herbicide causes cancer and should be banned. First marketed in 1974, glyphosate is the active ingredient in Monsanto's Roundup and other weedkillers. Available in generic form since 2000, it is the most commonly used herbicide in the world. Studies of potential toxicity have focused mainly on exposure of agricultural workers, and laboratory experiments with animals. In March 2015, the World Health Organization's International Agency for Research on Cancer (IARC) classified glyphosate "as probably carcinogenic to humans." The IARC cited "limited evidence" the weedkiller caused non-Hodgkin lymphoma in humans, and "sufficient evidence of carcinogenicity in experimental animals." Glyphosate is classified just below "carcinogenic" in a five-tiered scale in which the lowest threat level is "probably not carcinogenic". A committee of 17 experts from 11 countries arrived at this conclusion after a year-long review of government reports and peer-reviewed scientific studies. That bombshell finding has energised an aggressive grassroots campaign -- back by environmental groups such as Greenpeace -- to ban the herbicide. In France, the ministers of health and environment have both called for a rapid phase out. Importantly, the IARC's mission is to identify substances that may cause cancer in humans, not to measure cancer risk. In October 2015, the other shoe dropped: the European Food Safety Authority (EFSA) determined that the weedkiller "is unlikely to pose a carcinogenic hazard to humans." Available evidence did not support a causal link "between exposure to glyphosate and the development of cancer in humans," it said in a much anticipated report. Similarly, a multi-agency UN panel on pesticide residue likewise concluded last year that the weedkiller is "unlikely" to pose a cancer risk through diet. In the United States, meanwhile, the Environmental Protection Agency -- after briefly tagging glyphosate in 1985 as "possibly carcinogenic" to humans -- has failed to find a cancer link across three decades of reviews. 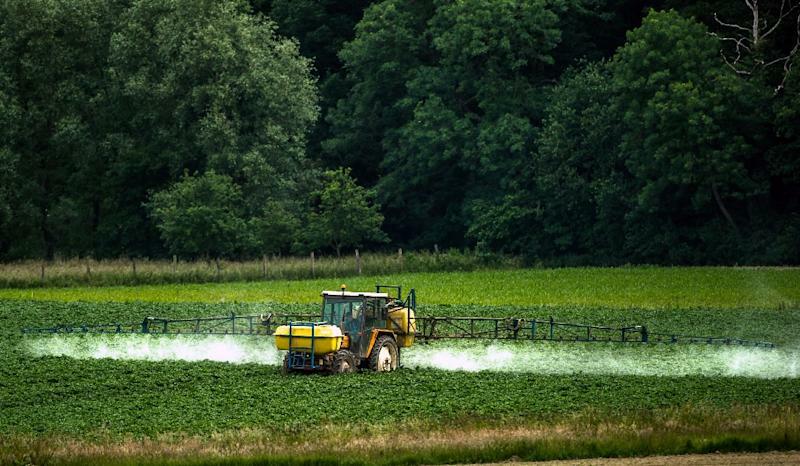 "In epidemiological studies, there was no evidence of an association between glyphosate exposure and numerous cancer outcomes," including stomach, colon, lung, kidney, prostate and brain cancers, the agency said last year. For the single exception -- non-Hodgkin lymphoma -- there was "conflicting evidence," it said. Critics have accused European and US health authorities of misreading data or bowing to pressure from industrial lobbies fighting to keep glyphosate-based herbicides on the market. In May, the former director of the US National Center for Environmental Health, Christopher Portier, alleged in an open letter to the president of the European Commission that EFSA had underplayed some animal studies showing a clear cancer risk for humans. "The evaluations applied to the glyphosate data are scientifically flawed," he wrote. Portier and 100 other experts wrote a commentary last year in a peer-reviewed medical journal defending the IARC findings. Defenders of the herbicide were quick to challenge Portier's motives, pointing to his links with a major anti-GMO green group in the United States, and his alignment with a ongoing lawsuit against Monsanto. The IARC has come under attack as well. A media report last week accused the agency of selectively deleting passages from its review that did not support the link with cancer. The IARC rejected the claims, noting that the process was transparent and consensual, and that the passages in question were mostly from a single study authored by a Monsanto scientist.